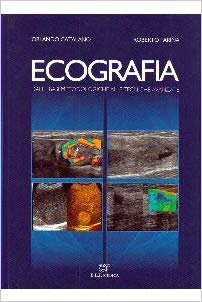 This atlas presents a practical and systematic approach for performing dermatologic ultrasound. In recent years, the use of this imaging modality for diagnosing pathologic conditions of the skin, hair, nails, scalp, and soft tissues has grown dramatically and there is a demonstrated need for quick access to this information. For common dermatologic entities, richly-illustrated figures and drawings describe the ultrasound normal anatomy, technical guidelines, common findings, variants, key points, and tips and pitfalls. The extensive collection includes clinical and ultrasonographic correlations with 3D color Doppler ultrasound images and high-definition videos produced with state-of-the-art technology and relevant topics such as benign cutaneous and nail tumors and pseudotumors, skin cancer, vascular anomalies, facial ultrasound anatomy for cosmetic purposes, aesthetic complications, inflammatory diseases, etc. 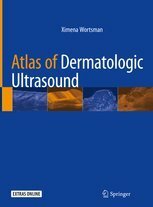 The Atlas of Dermatologic Ultrasound is a valuable resource and a must-have book for radiologists, dermatologists, plastic surgeons, sonographers, residents, and medical professionals who wish to strengthen their knowledge of the wide spectrum of sonographic presentations of dermatologic conditions and successfully integrate this field of ultrasound into their clinical practice. 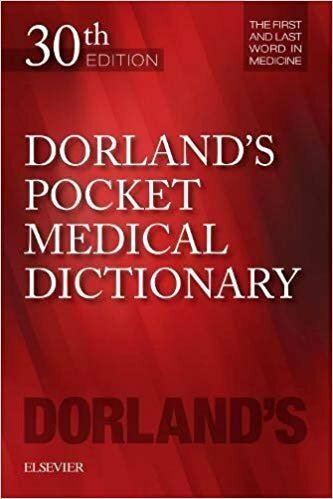 Continuously in print for more than 120 years, Dorland's Pocket Medical Dictionary, 30th Edition, includes the most often-used terminology from Dorland's Illustrated Medical Dictionary, the world's most trusted medical dictionary. Concise terms, carefully selected illustrations, and a convenient, portable size make this the #1 choice of a wide variety of students and professionals. More than 36,000 entries, a 32-page set of high-quality anatomical plates, and 257 full-color illustrations keep you fully informed and put dependable medical information at your fingertips. Includes nearly 2,000 new and revised entries, 30 new illustrations, and an expanded section on combining word forms in medical terminology. Features a portable, sturdy paperback format that fits easily into a backpack, ready to carry to the lab, the classroom, or the office. Includes one year of free access to DorlandsOnline.com, which contains the complete content of Dorland's Illustrated Medical Dictionary - approximately 124,000 detailed entries. Widely used by medical students and allied health professionals in many fields. La SIECVI ha voluto inserire l’ecografia vascolare nella colanna dei Manuali perché la ritiene ad oggi un compendio quanto mai necessario nella diagnostica cardiovascolare, capace di completare la competenza specialistica non solo del cardiologo prossimo e futuro, ma anche quella di numerosi altri specialisti tra i quali il medico di medicina generale, l’internista, il cardiochirurgo, il diabetologo, l’anestesista e il medico di pronto soccorso. Step-by-step videos and images, board-style review questions, and coverage of new blocks make this highly respected title a must-have reference for clinical practice. 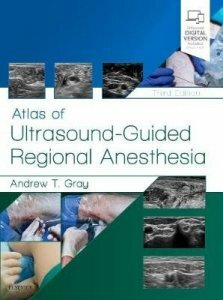 Written by Andrew T. Gray, MD, PhD, one of the pioneers of the use of ultrasound to guide needle placement, Atlas of Ultrasound-Guided Regional Anesthesia, 3rd Edition, shows you how to safely and effectively use the latest methods and applications of this technique. Board-style review questions found on the Expert Consult eBook version test your knowledge and help you prepare for the ABA exam. Helps ensure correct needle placement with numerous 3-D and long-axis views that clearly depict surrounding structures. Includes coverage of 11 new blocks: Adductor Canal, Posterior Femoral Cutaneous, Pectoral, Quadratus Lumborum, Pudendal, Paravertebral, Transversus thoracis, Supraorbital, Transtracheal, Greater Occipital and Lesser Occipital. 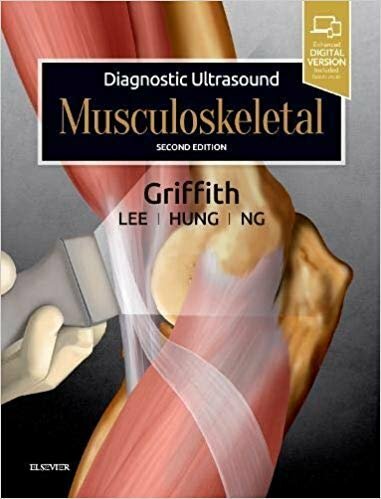 Features access to 20 author-narrated videos showing proper placement of needles using ultrasound guidance, including 11 new videos: Forearm (ulnar, median and radial), Ankle (tibial, saphenous, superficial peroneal, deep peroneal, sural), Paravertebral, Adductor Canal, and Catheters. 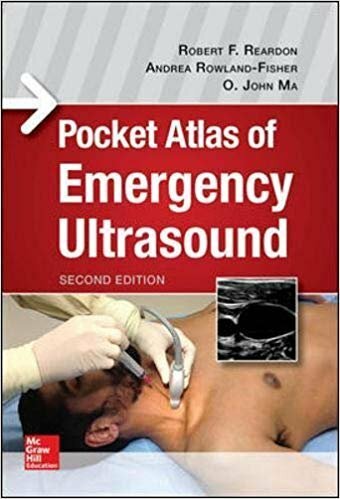 Presents several new chapters, including Regional Anesthesia in Resource-Constrained Environments and Safety of Ultrasound Guided Regional Blocks. Expert ConsultT eBook version included with purchase. This enhanced eBook experience allows you to search all of the text, figures, and references from the book on a variety of devices. 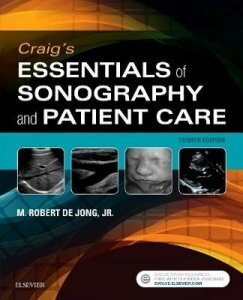 Providing a solid foundation in sonography, Craig's Essentials of Sonography and Patient Care, 4th Edition prepares you to succeed in the classroom and in practice. 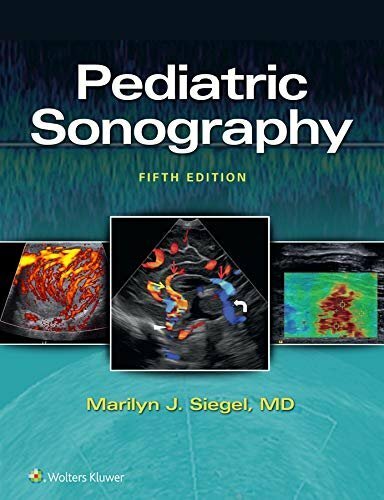 Divided into two parts, this updated text first describes the origins and evolution of diagnostic medical sonography, defines important terminology, and provides proven study techniques such as note taking, effective listening, and test-taking strategies. The second section prepares you for the clinical environment, covering topics from the sonography perspective such as taking a patient's vital signs, safety considerations, body mechanics, patient transfer, infection control, emergency procedures, and assisting patients with special needs. Additionally, survival skills throughout the text seek to build students' problem solving skills to help them adjust both academically and in the clinical setting.UPDATED! JRC-DMS content ensures you are up-to-date on the latest standards. The only text devoted entirely to entry-level students provides a foundation of essential knowledge ensuring your educational and professional success.Step-by-step presentation of patient care in a sonography setting teaches you how to perform basic medical techniques and interact with patients.Safety Issues chapter explains how to scan with proper scanning technique and posture to avoid repetitive-motion musculoskeletal injuries.Note boxes add information on applying concepts to the clinical setting.Objectives and key terms introduce each chapter's important content.Chapter summaries simplify study and review by recapping the most important points.Glossary of Spanish phrases covers common instructions for better communication with Spanish-speaking patients.HIPAA information provides the knowledge that you will need to comply with federal law. NEW! Coverage of aseptic and non-aseptic infection control techniques prepares you to work with patients in the clinical environment.NEW! Inclusion of critical thinking "survival skills" help you to adjust your problem-solving skills both academically and in the clinical setting.NEW! Expanded accreditation section guides you through the full process in detail.NEW! Full-color design helps break up content and bring it to life. 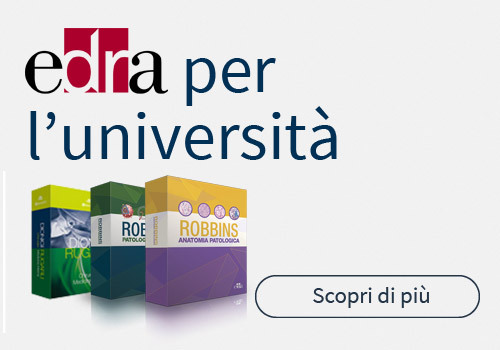 Questo volume è giunto alla sesta edizione, edizione che è stata completamente aggiornata, sia nel testo sia nelle immagini, con sette nuovi capitoli ed un team importante di ginecologici, ecografisti, perinatologi coprendo tutti gli aspetti dell'ecografia fetale, ostetrica e ginecologica - dalla più comune alla più rara - diventando un riferimento per la metodologia clinica. 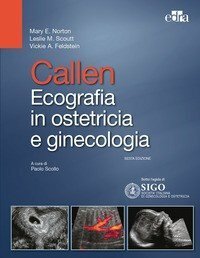 Sono state inserite nuove linee guida per la valutazione ostetrica (compreso il I trimestre) e la gestione ginecologica (compresa la valutazione dell'endometrio e delle masse ovariche). 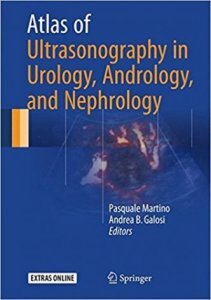 Vengono trattati in maniera estesa interventi fetali, ostetrici e ginecologici enfatizzando l'uso clinico e l'applicazione di imaging ad ultrasuoni. È un testo che verte sull'imaging in ambito ginecologico, con capitoli sulla tomografia computerizzata, sulla risonanza magnetica e sull'ecografia mammaria. 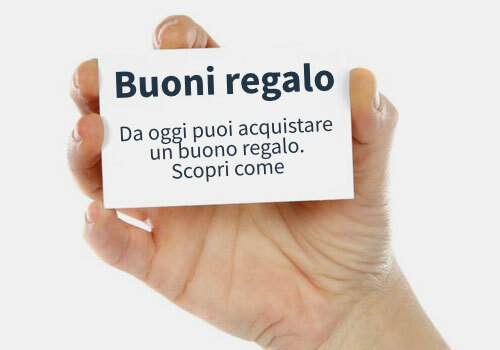 Si rivolge sia al medico esperto che lo utilizza come manuale di consultazione sia al neofita dell'imaging ecografico. Mette in evidenza nuovi di test genetici significativi, inclusa la correlazione con la valutazione ecografica del feto. In aggiunta alle immagini ecografiche di alta qualità si trovano innumerevoli illustrazioni a colori che contribuiscono a chiarire specifici argomenti. 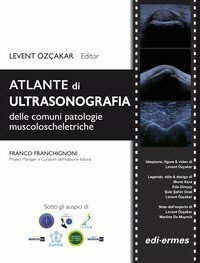 Un atlante con illustrazioni eloquenti ed efficaci, chiaro, moderno ed esaustivo: affronta e discute la diagnostica delle più comuni patologie dell'apparato muscoloscheletrico. 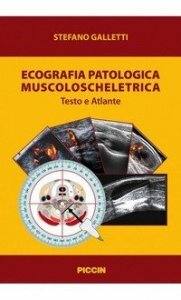 Composto da più di 500 immagini e 20 filmati relativi a numerose patologie, con testo a corredo che contiene anamnesi, esame clinico e descrizione dei reperti ultrasonografici. 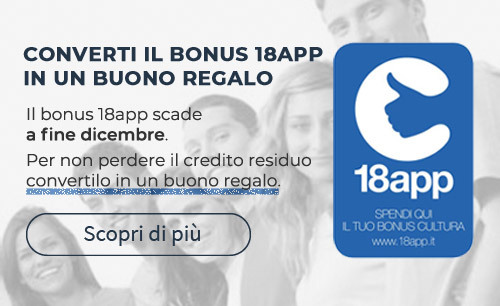 Accanto a questi, sono state inserite le "Note dell'esperto", commenti e spiegazioni pratiche. 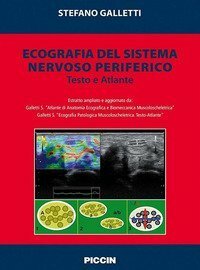 Le sezioni del volume sono organizzate secondo le regioni anatomiche, come in un atlante di anatomia, partendo da testa e collo per scendere fino a caviglia e piede. 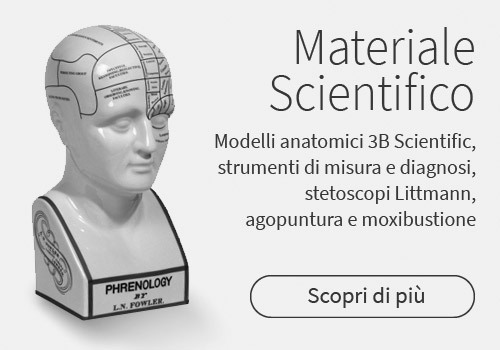 Le sottosezioni, poi, sono suddivise secondo le strutture anatomiche osservate. 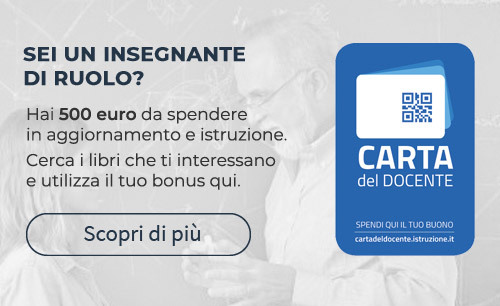 L'ecografia ha guadagnato un ruolo importante nelle applicazioni cliniche per la diagnosi e gestione di vari disturbi muscoloscheletrici grazie ai suoi numerosi vantaggi: lo scopo primario di questo libro è fornire numerosi esempi relativi alle più comuni patologie muscoloscheletriche osservabili nella pratica clinica. 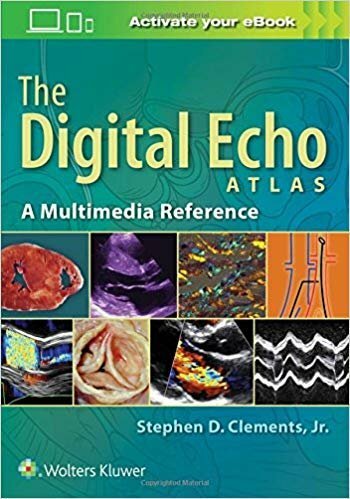 Now fully updated with more than 2,000 new images, 200 new videos, and new content throughout, Diagnostic Ultrasound, 5th Edition, by Drs. 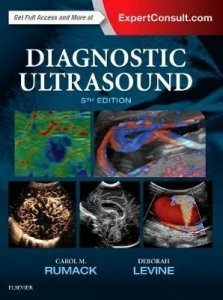 Carol M. Rumack and Deborah Levine, remains the most comprehensive and authoritative ultrasound resource available. 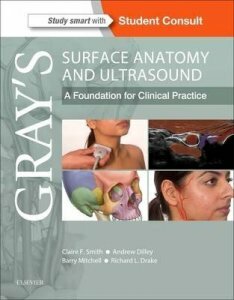 Spanning a wide range of medical specialties and practice settings, it provides complete, detailed information on the latest techniques for ultrasound imaging of the whole body; image-guided procedures; fetal, obstetric, and pediatric imaging; and much more. Up-to-date guidance from experts in the field keep you abreast of expanding applications of this versatile imaging modality and help you understand the "how" and "why" of ultrasound use and interpretation.Covers all aspects of diagnostic ultrasound with sections for Physics; Abdominal, Pelvic, Small Parts, Vascular, Obstetric, and Pediatric Sonography.Uses a straightforward writing style and extensive image panels with correlative findings.Features 5,000 images - more than 2,000 brand-new - including new 2D and 3D imaging as well as the use of contrast agents and elastography. Includes a new virtual chapter on artifacts with individually labelled images from throughout the book, displaying artifacts with descriptive legends by category and how they can be used in diagnosis or corrected for better quality imaging. Features more images and new uses for contrast agents in the liver, breast, and in pediatric applications. Includes current information on imaging more diagnostic dilemmas, such as Zika virus in the fetus and newborn. Includes 400 video clips showing real-time scanning of anatomy and pathology. Expert ConsultT eBook version included with purchase. This enhanced eBook experience allows you to search all of the text, figures, Q&As, and references from the book on a variety of devices. 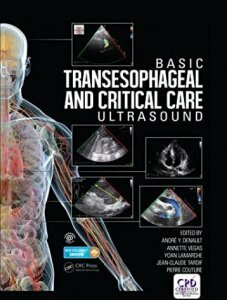 Basic Transesophageal and Critical Care Ultrasound provides an overview of transesophageal ultrasound of the heart, lung, and upper abdomen as well as basic ultrasound of the brain, lung, heart, abdomen, and vascular system. Ultrasound-guided procedures commonly used in critically ill patients are also covered. 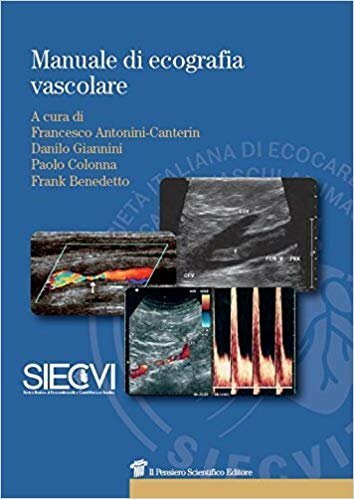 With more than 400 clinical images, this well-illustrated text and its accompanying videos demonstrate new developments and challenges for those interested in mastering basic transesophageal echocardiography (TEE) and bedside surface ultrasound. 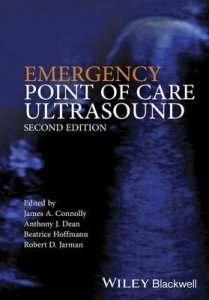 Each chapter is presented in an easy-to-read format that includes color diagrams and ultrasound images which optimize interactive learning for both novice and experienced clinicians. The book is divided into two parts. The first is dedicated to basic TEE while the second provides focused coverage of bedside ultrasound. 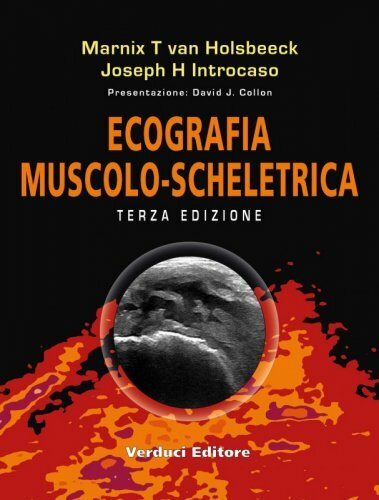 The book also includes chapters on extra-cardiac TEE and ultrasound of the brain-unconventional areas that will become more important in the future as clinicians evaluate not only the etiology of hemodynamic instability but also the impact on multiple organs and systems such as the kidney, liver, splanchnic perfusion, and brain. This text is an invaluable resource to those preparing for the National Board of Echocardiography's Examination of Special Competence in Basic Perioperative Transesophageal Echocardiography (PTEeXAM) and its equivalents outside the USA and Canada. In addition, it prepares physicians for the American College of Chest Physician's critical care ultrasound certification. The contents follow the syllabus of the TEE basic echo exam to ensure complete coverage of a trainee's requirements. It also includes sample questions and two helpful mock exams. Written by a multidisciplinary team of experts in TEE, the book is a must-have for those in training and in practice.